What caused the deep drop in winter temperatures and the subsequent extreme weather conditions in Europe within just four months after the start of WWII? Even though historical information have been written down abundantly, little has been said about the impact naval and military activities had on seas and estuaries during the first few months of war. The temperature condition of the ocean and seas determines, weather and climate. Every excessive mixing of the sea during autumn has an adverse impact on heat conditions of the sea area in question. “Forcing” warm surface water to greater depths will have its own consequence in the atmosphere. To “stir” the heat out of seawater earlier than it would otherwise happen naturally, must inevitably invite cold arctic air to invade earlier, more fiercely and make it stay longer. The result speaks for itself. Northern Europe plunged into the coldest winter in 110 years. 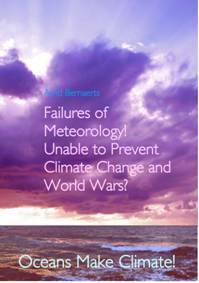 In principle the starting point should be to talk about war and weather, and only subsequently about the impact of naval warfare on the status and processes within the atmosphere. If suddenly, and within a short period of time, millions of shells, a hundred thousand bombs, and thousands of war planes are in the air, one should get suspicious about whether that can happen without any traces in the physics of the air column. Presumably it has, and might have produced unusually high values of the ozone layer over several European sites in early WWII (Brünnimann, 2005). But if science is not able or willing to do it, this is not the place to elaborate this matter any further. Even more it is not the place to undertake and offer any historical consideration and information on warfare. Since coming across this issue, I felt that the naval war thesis could greatly enhance the understanding of the superior influence of the ocean on matters of weather and climate change. It constantly upsets me to look into war, and naval warfare matters as well. For this reason this field is presented only to that extent as it seems useful to grasp a bit of the dimension, or what is required to discuss this subject. The information and numbers provided are chosen with care, but not necessarily cross-checked. Germany started the war on September 1st as an uneven contest, with a military strength presumably three times higher than that of the Poles, comprised of five armies with 1.5 million men, 2,000 tanks, and about 2,500 war aircraft, 1,000 fighters and 1,500 bombers. Together France and Great Britain presumably matched the German strength. From the first day at war onward the numbers changed rapidly; for a considerable time they increased dramatically despite of the increasing loss of personnel and war material. Poland suffered profoundly. The Poles prayed for rain to hamper the advance of the motorized invader. In vain, as excessive amounts of rain fell west of Poland , for example, in Berlin-Dahlem (197%); in Frankfurt/Oder (197%); and in Breslau (204%). 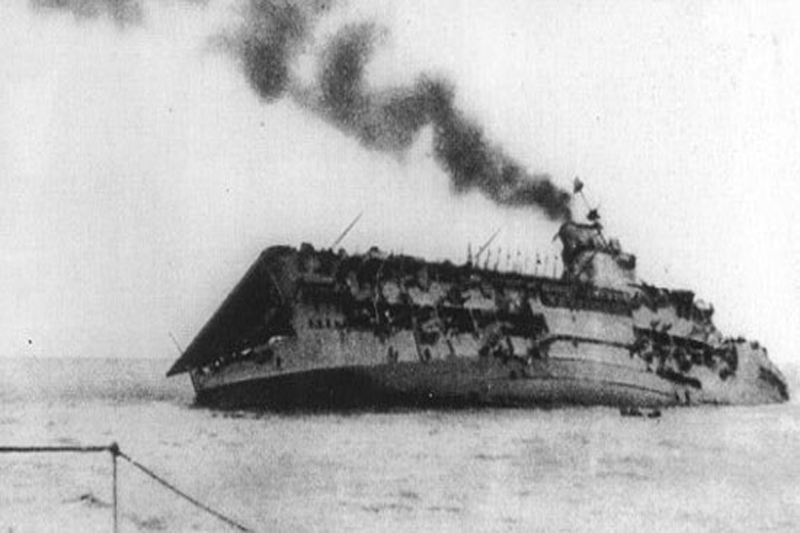 The Germans needed only three weeks to reach Warsaw . On September 25, 1939 , 240 German planes bombed Warsaw , dropping 560 tons of bombs, including the first 1,000 kg bomb. Meanwhile 1,000 batteries shelled the city. 30 transport aircraft dropped 70 tons of fire-bombs. Warsaw burned for many days. Poland surrendered. There was nothing but dust and ashes around from burning cities eastward for a couple of days or weeks. Did this dust circle around the Northern Hemisphere was to arrive at the Western Front after a few weeks time, and thus contribute to excessive rain in Western Europe during October and November 1939. As science has not considered this aspect, the next section will elaborate more on this matter. From the onset of the war the big battle line was along the river Rhine, with up to two million soldiers on each side before the end of the year 1939, keeping busy with fortification, training, and military skirmishes. That included aerial surveillance, bombing, shelling duels, tank thrusts. Within the first few weeks the First British deployment of 158,000 men had been transported to France , together with 25,000 vehicles. The number more than doubled over the next few months. However the all out war was postponed until the German army began the blitzkrieg on May 10, 1940. Overview: Naval warfare activities waste no time. Except for a few restrictions according to international law, and only for a short period of time, the navies became active in all northern European waters from day zero on. In these sea areas surface water and the water column below were most severely affected by ‘turning the sea upside down’ at many places thousands of times every day from the start of the Second World War on September 1st, 1939. · Germany : 30 large naval vessels (21 destroyers and bigger vessels), and 12 torpedo boats and 57 U-boats. 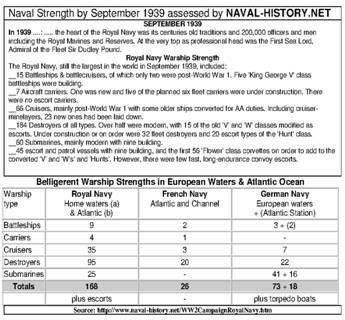 As the figures vary considerably from source to source, here in Figure C3-3, there is also the assessment by NAVAL-HISTORY.NET. 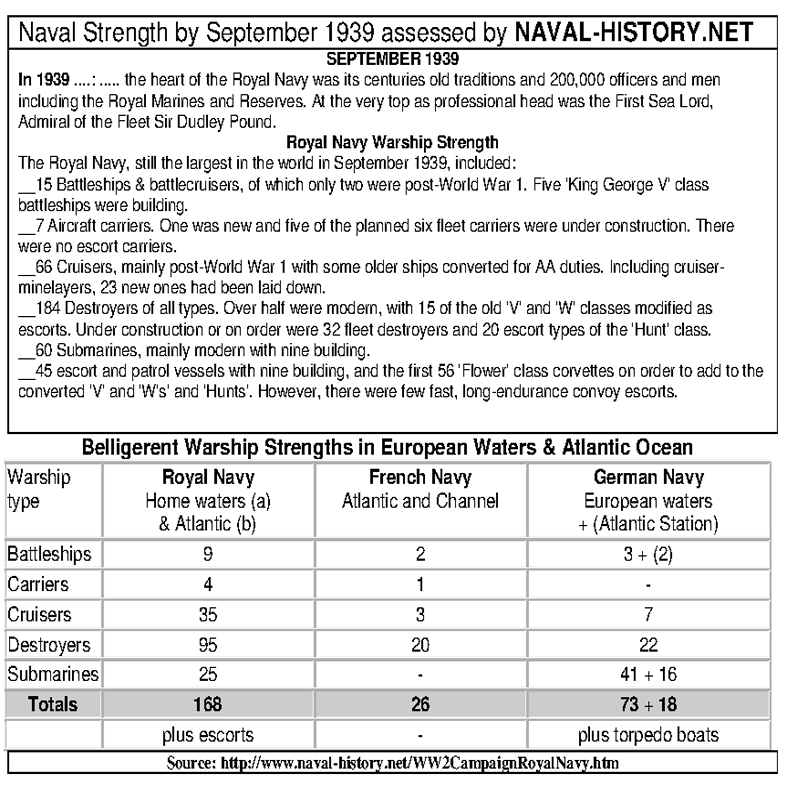 Tonnage of British ships available in 1939: ca. 18 million tons, ca. 7,000 vessels, about 27% of the world tonnage. The German merchant fleet was a quarter in size with 4.5 million tons. The world fleet in 1939 was comprised of 30,000 ships with about 70 million tons. Over the same period of time the British navy lost: One battleship; three destroyers; one aircraft carrier; one armed merchant cruiser; ca. 10 trawlers; two U-boats; and others. 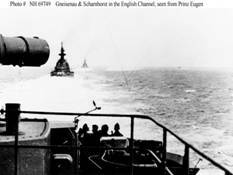 The German merchant fleet was quickly swept off the ocean. 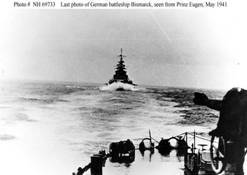 It is said that 325 ships (750,000 tons) could reach neutral ports; however 150 ships returned back to Germany . About 65 ships were registered as a loss, including being taken as prize, or scuttled, until December 31, 1939. In addition to ransacking the upper sea layers downwards to a dozen meters by cruising vessels, naval warfare had much more at its disposal to make the sea sweating out the heat it had stored during the previous summer, due to shelling, bombing, depth charging, mining, and mine sweeping. These are forces that can penetrate the sea, and mix sea layers, at depths even the wind does not reach. Shelling: No one knows, or has accounted for what the sea had to take in the form of hits from shelling, ship/ship, or coastal battery/ship, ship/war plane. The numbers go into many hundreds of millions over a period of a few months. No one has any idea about what this bullet, grenade, or shell does to the physics of the sea body as it hits and sinks to the bottom of the sea. For example, WWII battleships could fire 300 kg shells over a distance of 12 km (13,000 yards), and in one salvo every 40 seconds about 7,000 kg. This was a lot of stuff for the sea to take. The calibre in service to protect against airplane attacks was much smaller, but the shots may have gone into the thousands during each assault. A small anti-aircraft gun of 2 cm could fire about 200 shots per minute. Bombing: Neither the German nor the British Navy had a fully operational aerial arm at the beginning of the war. The German Navy never got one. British Royal Air Force Coastal Command became operational sometime in 1940. However, airplanes for bombing and mining missions were frequently in operation, the British planes in the Helgoland Bight and the German on England ’s East coast. Depth Charging: Depth charging submarines during WWII actually meant the hunting down of German U-boats, either by airplanes, surface vessels or specially laid mine barrages. When the war started, Germany had only 57 boats ready for service, of which only 23 were equipped to operate in the Atlantic . In England it was reported that 15 to 18 German submarines could have been out at sea on September 1st. (NYT, September 4, 1939). Although the number was small in the beginning, and never more than a dozen boats were in the Atlantic or on missions elsewhere at any time during the first few months, the Royal Navy did not fear anything more than the U-boats. 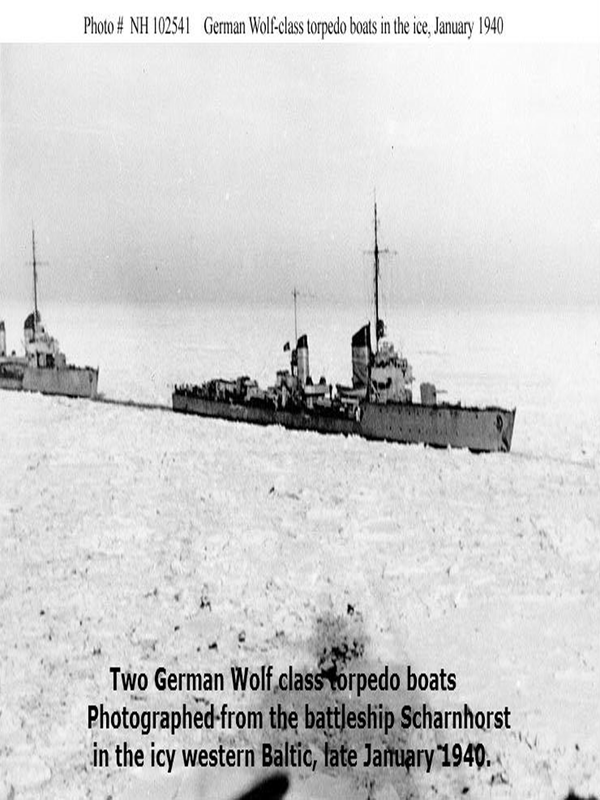 Even with a modest success of sinking more than 100 ships with a tonnage of 100,000, the Allies felt the threat by U-boats seriously and employed all means available at their command to fight this enemy, whether real or imaginary. 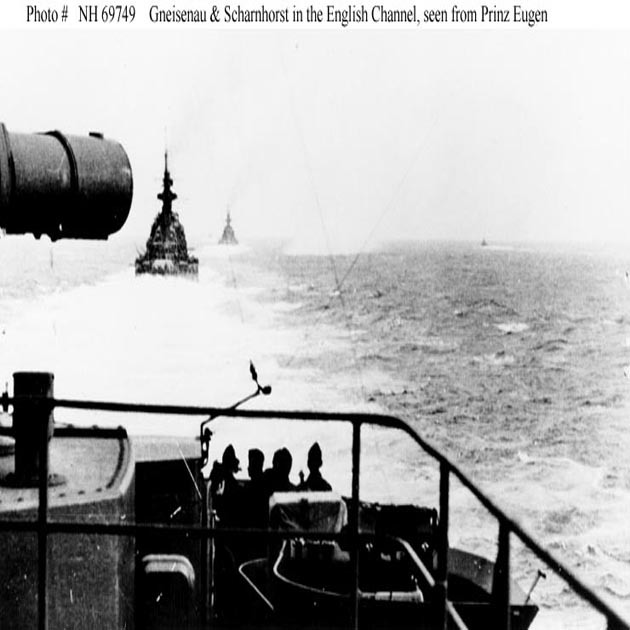 Consequently thousands of depth charges may have been deployed day after day. “In the diamond-pattern attack, the destroyer goes at full speed for the spot where the submarine, slow and clumsy under water, is thought to be. One depth bomb is let go just before the spot is reached. A few seconds’ later two more are lobbed out by a Y-gun so that they land out on either side of the destroyer’s wake. The forth point of the diamond is another depth bomb dropped over the stern some distance ahead of where the Y-gun fired. In this way a large area of the sea is covered by the diamond pattern. The effect is further increased by the fact that the bombs are timed to go off at different levels, so that the area is covered not only horizontally but vertically as well. 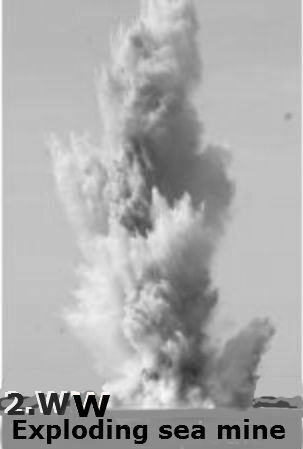 The bursting area of a modern depth bomb is considerable”. (NYT, September 16, 1939). Within months the system was perfected, and the number of charges per attack increased. needed to complete Great Britain ’s 30,000,000-pounds protective shield for east-coast shipping. The minefield extending from Kinnairds Head , Scotland , almost to the mouth of the Thames , is the most extensive field ever laid.” (NYT, Jan. 11, 1940) If one assumes that the weight of those mines varied between 300 and 1,200 pounds, alone the number of mines laid in autumn along the east coast would be between 25,000 and 100,000 mines. 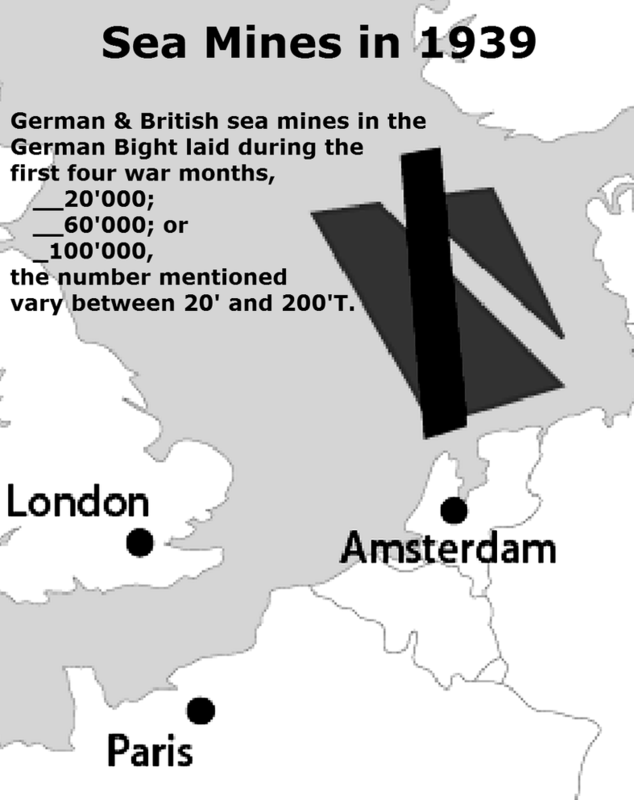 Thousands of mines were also simultaneously laid in the Baltic, and not only from the German Navy, but also by Russia and Finland in the eastern Baltic, and in the Gulf of Finland . Also the Danish Government announced plans to plant mines in its waters. (NYT, Sept 5, 1939). 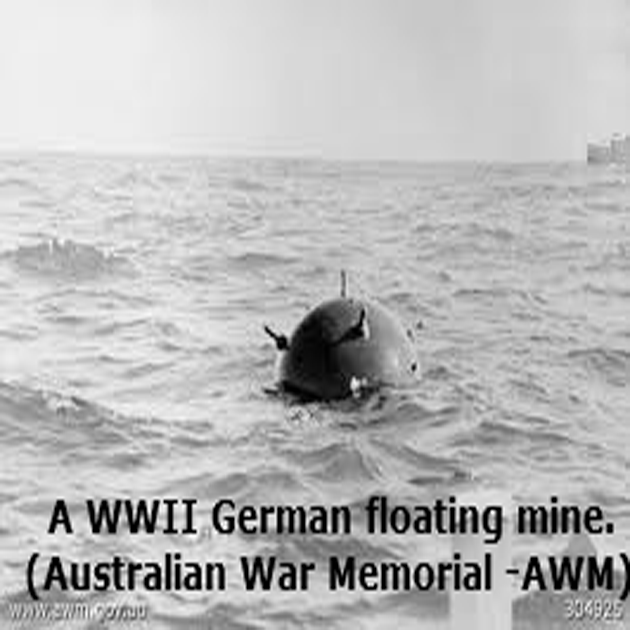 Mine Sweeping: Minesweeping in WWII was a huge penetration into the marine environment, and on such a scale, that it might have reached the level of all other naval warfare activities together. It soon became a pressing issue for major countries at war. Sweeping mines proved to be a tremendous around the clock operation, ships travelling millions and millions of miles at sea for detecting and destroying the ‘weapon in waiting’. 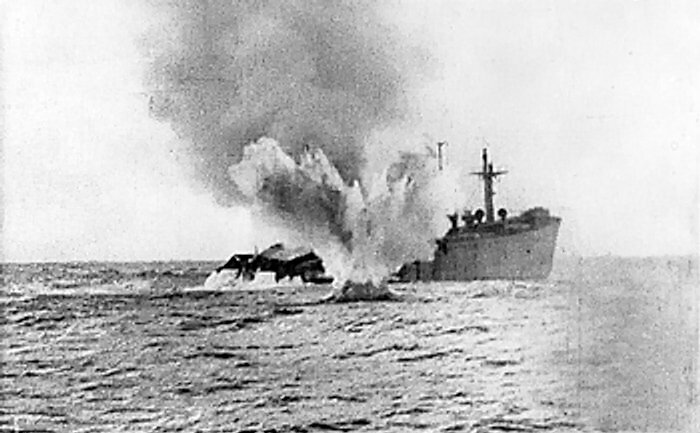 Particularly Britain needed an effective force for minesweeping operations. The naval minesweeping branch requisitioned some 800 trawlers, drifters, whalers and fishing vessels. In December 1939 it was indicated that more than 100,000 men would be engaged in sweeping the German mines in British sea-lanes. (NYT, Dec 10, 1939) By the end of the year the sweeping force consisted of a searching force with 150 trawlers and 100 drifters, and a clearing force with 16 fleet sweepers and 32 paddle sweepers. (Slader, 1995) The Germans had presumably a corresponding force before the end of 1939. The efforts made during WWII had been tremendous. German Defence machinery against Allied mining involved 46,000 personnel, 1,276 sweepers, 1,700 boats, and 400 planes, whereas the British Defence against Axis mining involved 53,000 men and 698 sweepers (Hartmann, 1979). 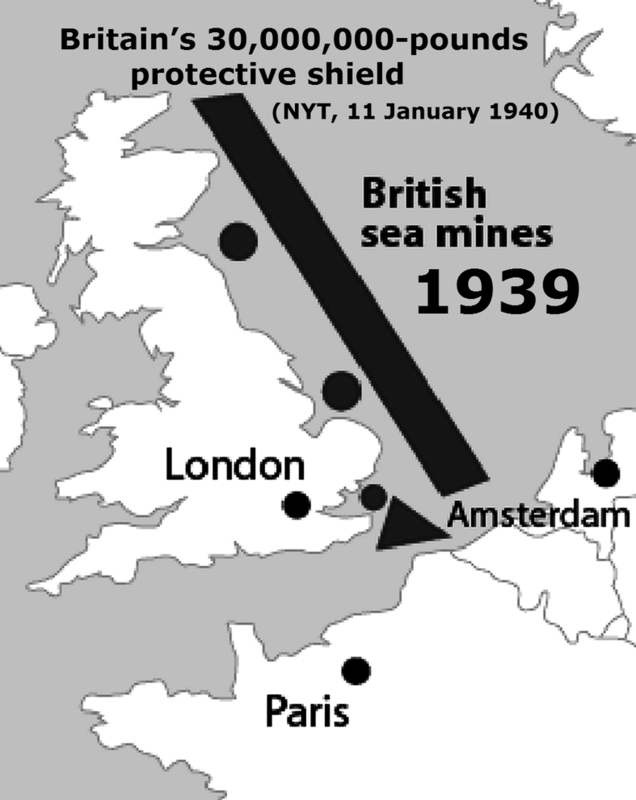 When on November 19th, 1939 five ships were destroyed by mines the urgent need for a huge mine sweeping operation became obvious. (NYT, Nov 20, 1939) The discovery of a ‘sample mine’ on November 22nd significantly confirmed the effectiveness of countermeasures. The British Admiralty quickly put a pre-war plan into action, whereby 800 commercial trawlers, drifters and whalers were requisitioned, equipped with wire sweeping gear and their crews trained accordingly (Elliot, 1979). Naval warfare is more than mere navigation. Presumably one can call the force unleashed on the marine environment as “peanuts” compared to what happened over the next few years, but it was easily a manifold of all pre-war uses during autumn 1939. Not only the belligerent countries employed their navies aggressively, but also non-war parties were on the highest alert and active. Mines, bombs and depth charges were not only employed at random since September 1st, 1939. The weapons had been improved since WWI and their ability to ‘deliver’ precisely had reached new dimensions in warfare. Presumably tens of thousands of massive explosions mixed-up the sea day after day. The sea reacted swiftly by cooling too early for the forthcoming winter season, and arctic air could penetrate Northern Europe without facing any resistance.